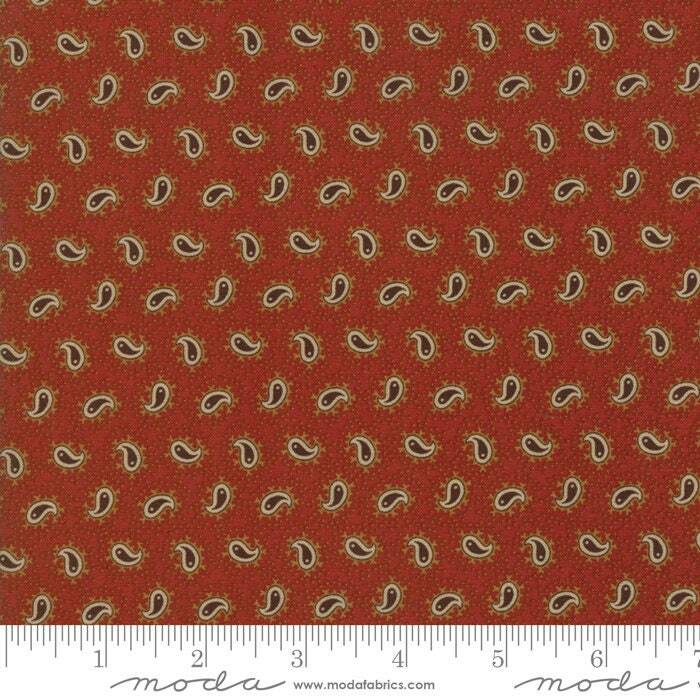 Spice It Up Redder Rust 38058 16 by Jo Morton for Moda Fabrics. This line is true to Jo Morton civil war flavor. Classic prints, colors, and patterns make this bundle perfect for a Dear Jane, Lucy Boston, or Farmer's Wife.